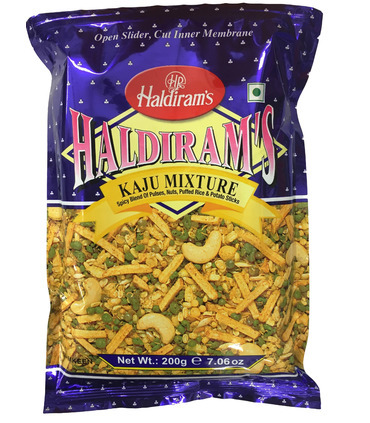 Enjoy the nuttiness of whole cashews with every bite of Haldiram’s Kaju Mixture. 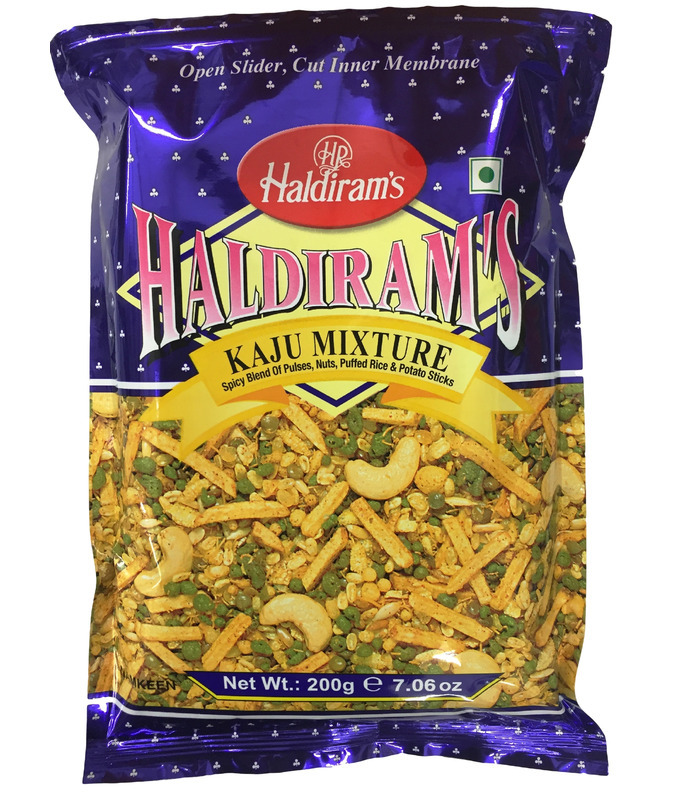 It is a deliciously spicy blend of pulses, nuts, puffed rice and potato sticks with generous amounts of cashews. 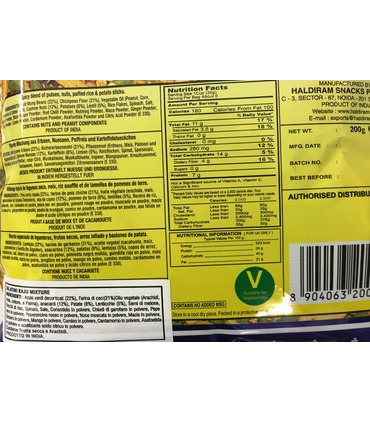 Eat it as is or sprinkle it on bread, chaat or potatoes to add a crunchy bite to the snack! Enjoy the nuttiness of whole cashews with every bite of Haldiram’s Kaju Mixture. 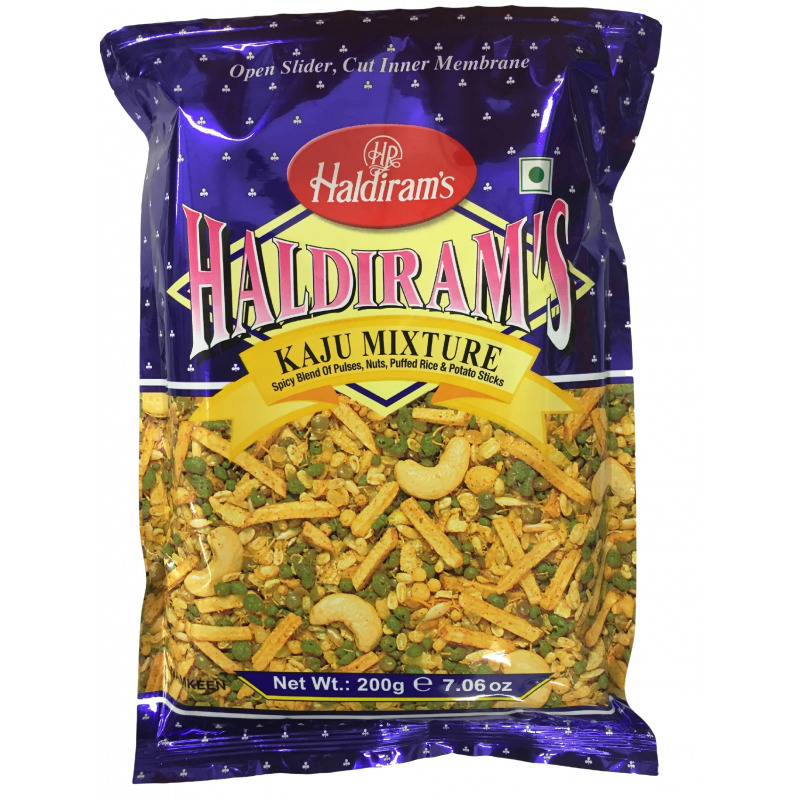 It is a deliciously spicy blend of pulses, nuts, puffed rice and potato sticks with generous amounts of cashews. 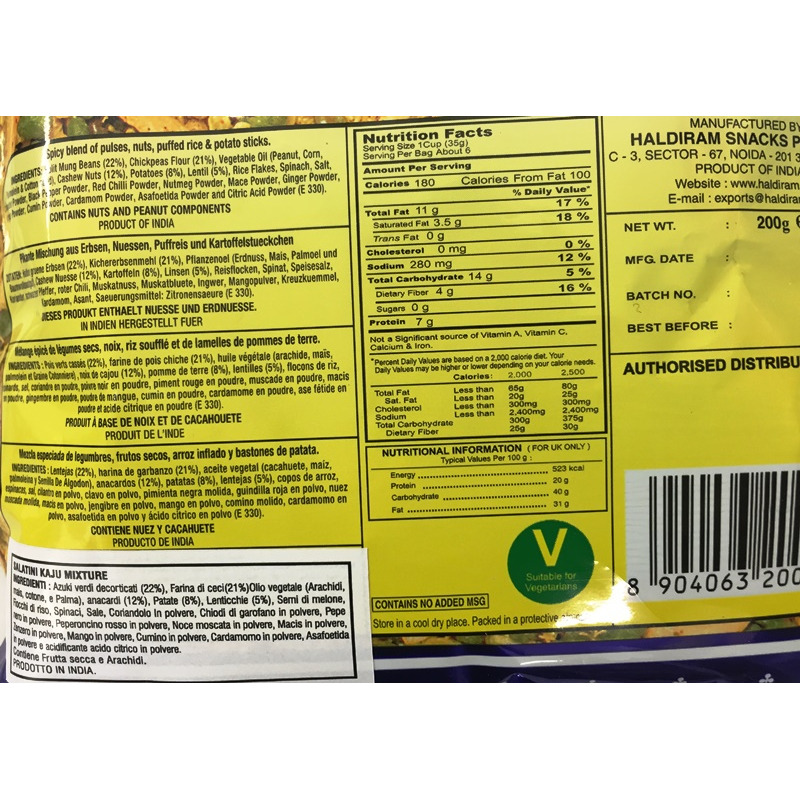 Eat it as is or sprinkle it on bread, chaat or potatoes to add a crunchy bite to the snack!